The electronic hardware carried by dismounted soldiers on expeditionary missions is becoming heavier and more complicated, so troops need to find solutions to efficiently generate the additional energy required. 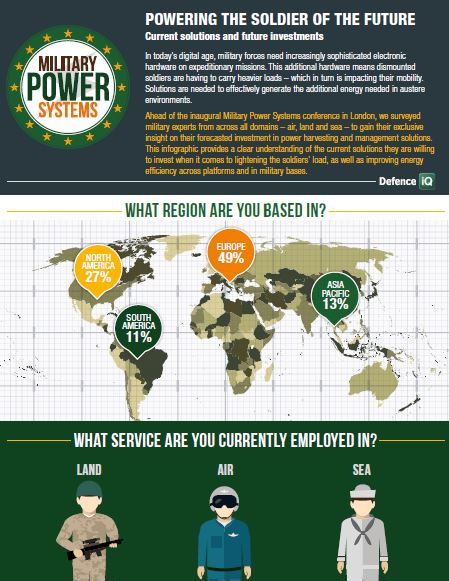 We surveyed military experts from across all domains – air, land and sea – to gain exclusive insight into their forecasted investment in power harvesting and management solutions. Download the infographic to find out more.